Material: 86% Cotton, 8% Nylon, 5% Polyester, 1% Spandex. 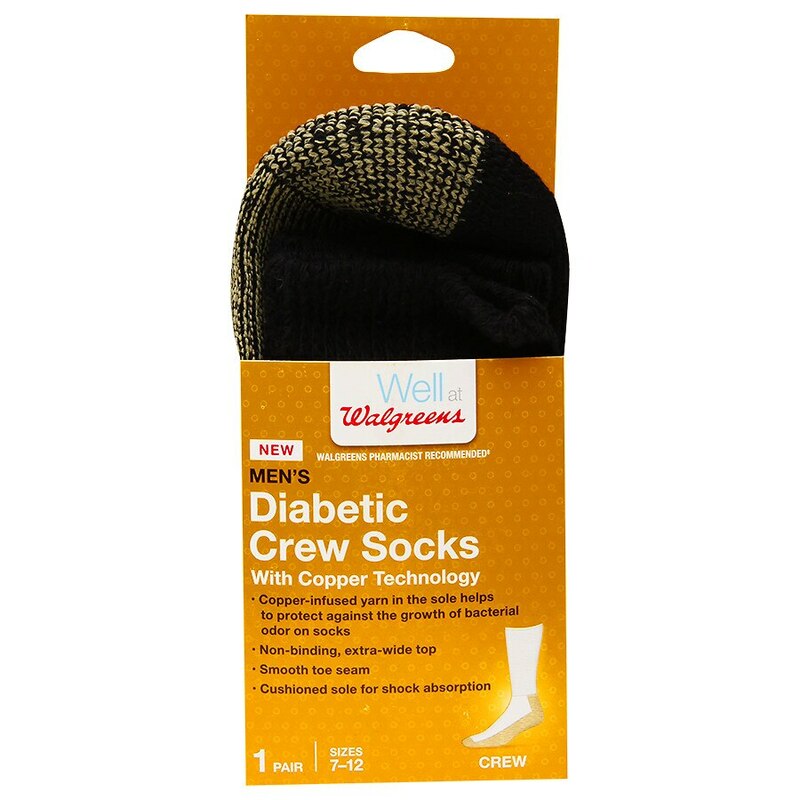 Support local preventative wellness with Walgreens. With each purchase of Walgreens Brand Health & Wellness Product, 1¢ goes to the Walgreens Way to Well Fund®, up to $3 million annually. †Walgreens Pharmacist Survey Study, November 2012. Washing Instructions: Machine wash warm. No chlorine bleach. Do not use fabric softener or laundry detergent containing silicone compounds. Tumble dry medium. Do not iron. Do not dry clean.